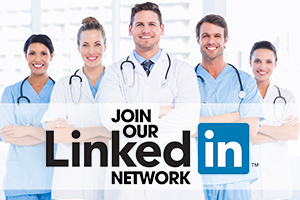 Q: Adler Ortho® is one of the youngest players on the orthopaedic market. Please could you tell us how you came to be in the avant-garde of technology using techniques such as 3D printing in such a short span of time? A: Since its beginning, Adler Ortho® has had a strong focus on innovative technologies with the objective of providing patients and surgeons with state-of-the-art implants. A group of experienced orthopaedic managers founded the present company in 2004, following the sale of the original company; Cremascoli Ortho. The managers within Adler Ortho have deep technical and market knowledge, having developed many original patents for hip and knee implant production and design over the last thirty years. The company manufacturing unit, located in Cormano, Milan, is purpose-built to employ the latest computer-aided technologies in a fully automated state-of-the-art manufacturing facility. 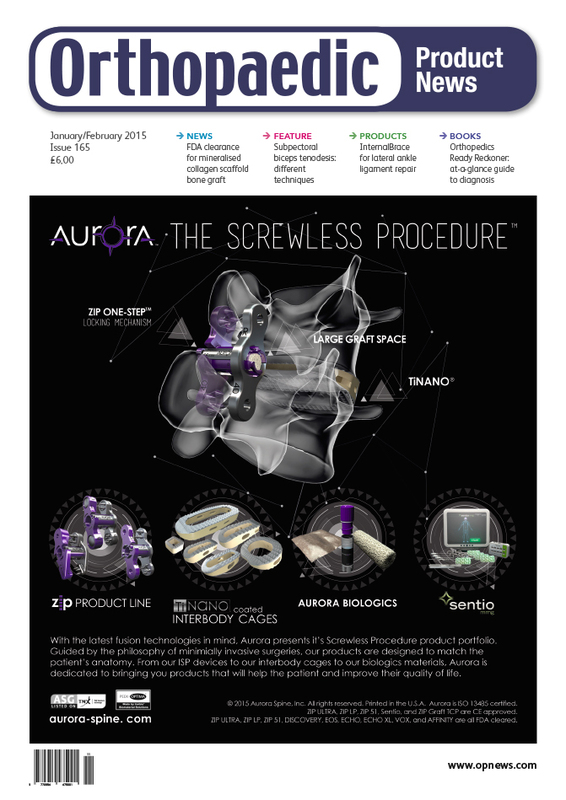 The experience in orthopaedic implant technology is well represented by Patrizio Cremascoli, who, in 1987, together with a group of Italian surgeons at the Rizzoli Institute, designed and patented the first modular exchangeable neck design for total hip arthroplasty. Q: Adler Ortho Fixa Ti-Por® acetabular cup was recently rated 7A* by ODEP. This implant uses a 3D printing technology. Please could you tell us more about the manufacturing process, and also about how you collected the data for the submission, in particular, how hard (or easy) it was to satisfy the ODEP 7A* criteria – a minimum cohort of 350 hips at the start of the study (consisting of data from more than three centres / surgeons), a minimum of seven years follow-up and an actual revision rate of less than 5%? A: In 2007 Adler Ortho was the first orthopaedic company to manufacture and market an ALM implant: the Fixa Ti-Por acetabular cup. One of the most recent technology advances in orthopaedics is the introduction of a new manufacturing technology; Additive Layer Manufacturing (ALM), previously principally used in aerospace and colloquially summarised as ‘3D printing’. 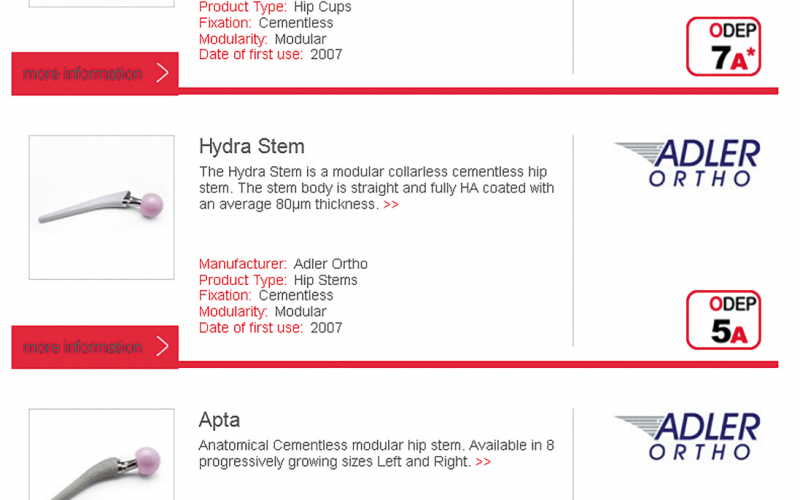 In 2006 Adler Ortho, working closely with Arcam AB, the Swedish-based manufacturer of the parent technology, started to utilise ALM manufacturing for the production of cementless orthopaedic implants. Arcam use an Electron Beam Melting (EBM) process to produce hip and knee implants. The ALM process allows metal implant production bypassing traditional methods such as casting or forging. Specialised CAD software scans and divides the prosthesis into 50µm thick sections. Each section, with its unique characteristics is memorised by a controlling computer. At 700°C temperature inside the EBM machine, a first 50µm thick layer of metal powder is laid on the machine working area, and an electron beam draws the first implant section. Metal powder melts and solidifies when touched by the electron beam. After the first section is complete, a second layer of powder is added and the process repeats until complete. In this way, the implant is manufactured by adding layer after layer of material and explains why the process is known as additive manufacturing. This technology has several distinctive advantages: it allows an extreme degree of design flexibility and allows production of extremely complex 3D monolithic structures with almost any kind of porosity in its design. Adler Ortho is the only company currently manufacturing implants using three metal alloys; Titanium alloy, Cobalt Chrome alloy as well as Stainless Steel (for instrumentation), with both electron beam and laser sintering techniques. For this reason, Adler Ortho uses its own umbrella term; powder manufacturing technology to describe its ALM processes of electron beam melting and selective laser sintering. Adler Ortho research with powder manufacturing lead to the development of Ti-Por®, a proprietary titanium alloy 3D monolithic ingrowth surface. Designed to be extremely rough to maximise implant primary stability, Ti-Por implants are built in one piece, with a 70µm pore size outer layer that is ideal for bone ingrowth and no possibility of detachment from the substrate, unlike traditional implant coatings. In 2009 Adler Ortho further strengthened its leadership position in powder manufacturing technology by launching the first EBM made hip stem; Parva. In 2012 another unique implant, the Genus Partial Knee was released, with a printed CoCr cementless femoral component and a printed Ti alloy cementless tibial component. 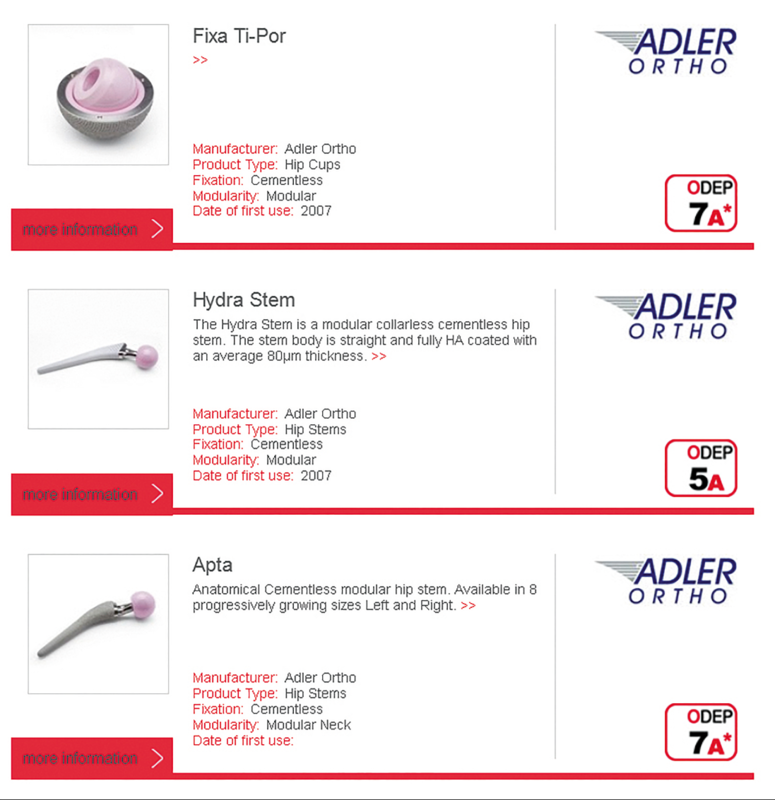 Today Adler Ortho offers surgeons the widest available product portfolio of powder manufactured implants for primary and revision hip and knee arthroplasty, with six different acetabular cup designs, two primary femoral stems designs, a unicompartmental knee and a total knee implant system. During the last decade, Adler Ortho sold more than 60,000 powder manufactured hip and knee implants, reaching many diversified markets outside Europe such as Japan, Australia, Argentina and New Zealand. 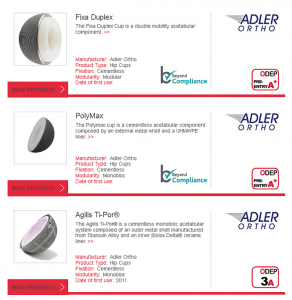 From 2010 Adler Ortho has also offered a full custom-made products service. These are implants normally used instead of massive bone grafts in case of major bone loss for revision indications, major trauma as well as a range of oncology applications. Custom implants are designed directly from patient CT scans and/or MRI. Powder manufacturing technology allows, in a relatively easy way, rapid production of even very complex custom implants with the surface specifications required by the surgeon. The porosity of the implant can be varied to respect soft tissues as well as providing open porosity for optimised bone ingrowth. For custom made implant design, one of the critical points is establishing a quick communication link between the surgeon and project engineer. Adler Ortho provides a dedicated interactive internet based custom products platform. 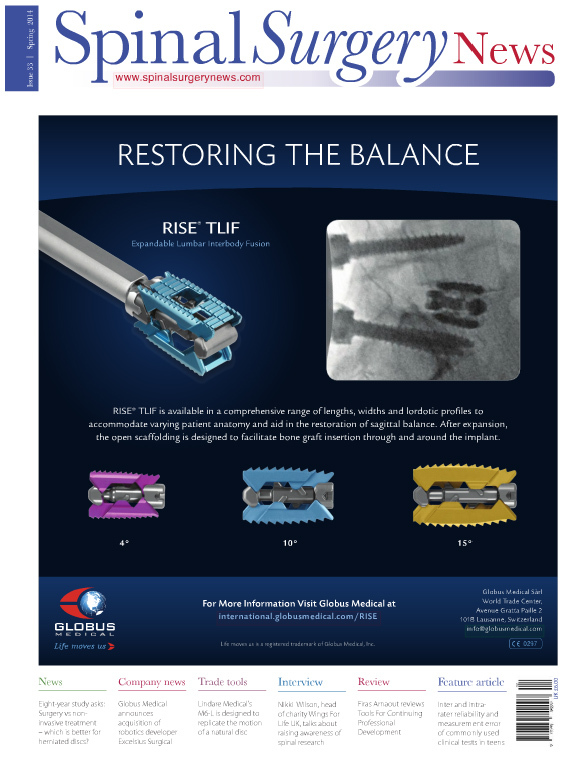 This platform is able to enhance and reduce the custom implant design time and offer a smooth exchange of information with surgeons in real time, using 3D implant models for approval prior to manufacturing commences. This year, Adler Ortho celebrates the 10th anniversary of the Fixa Ti-Por acetabular cup and powder manufactured implants continue to demonstrate proof of excellent clinical performance. 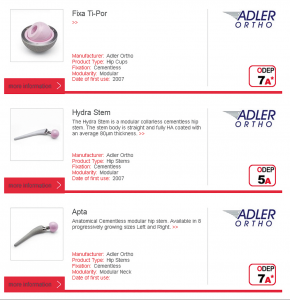 Recently the Adler Ortho Fixa Ti-Por cup received a 7A* ODEP rating, supported by analysis of clinical data from the RIPO (Italian Emilia region joint registry). 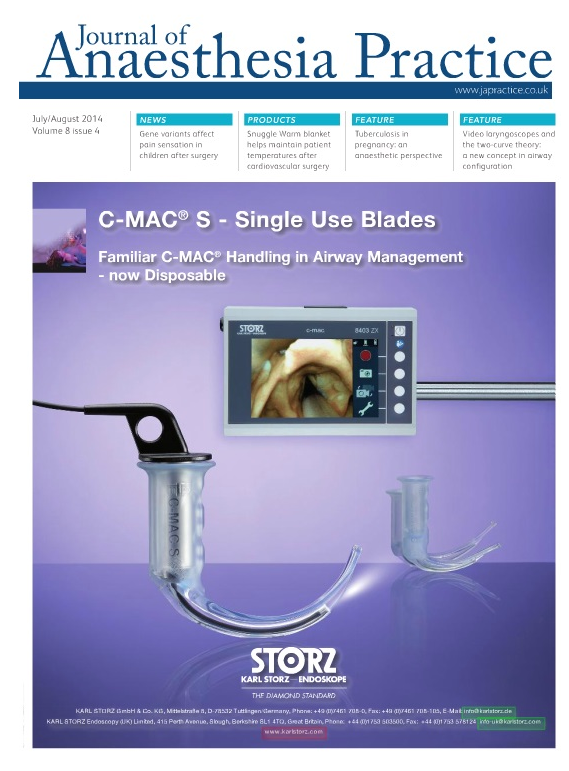 8,169 Fixa Ti-Por cups in the Registry with a maximum 8.5 years follow-up were calculated to have a Kaplan-Meier survival rate at 7 years of 98 per cent. In order to obtain an ODEP star rating, Adler Ortho provided the ODEP Committee with anonymised patient data from the RIPO registry with evidence to support the claim for a minimum 7-year follow-up with an actual calculated survival rate of 98.5 per cent. 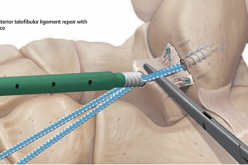 Q: Agilis Ti-Por® acetabular cup is another ODEP-rated implant that is produced using the ALM technology, I believe? A: Indeed, Ti-Por surface safety and clinical efficacy is also endorsed by the 3A ODEP rating granted to the Agilis Ti-Por acetabular cup. The Agilis is a pre-assembled ceramic-ceramic cementless cup, featuring the same 3D monolithic ingrowth surface as the Fixa Ti-Por cup. A cohort of 252 patients in the New Zealand Joint Registry with a maximum 3.5 years follow-up was presented. 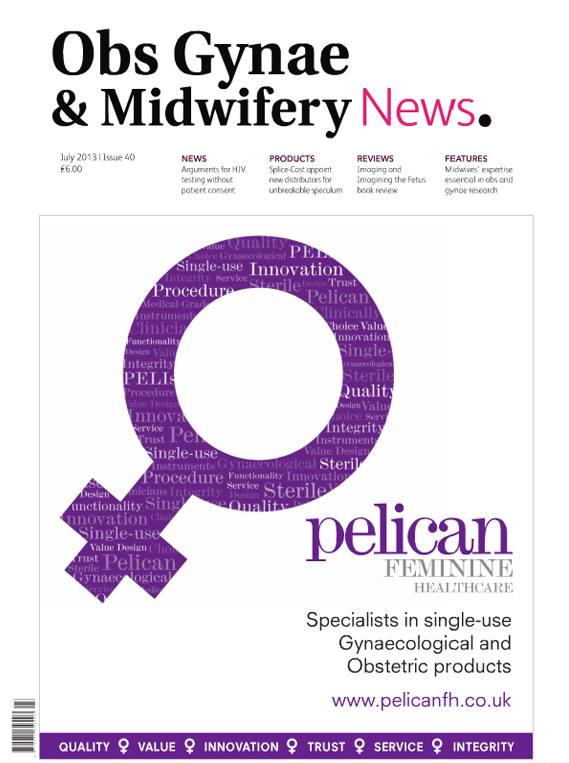 Three-year survival rate, calculated according to Kaplan-Meier is 98.6 per cent, with only two cup revisions recorded. 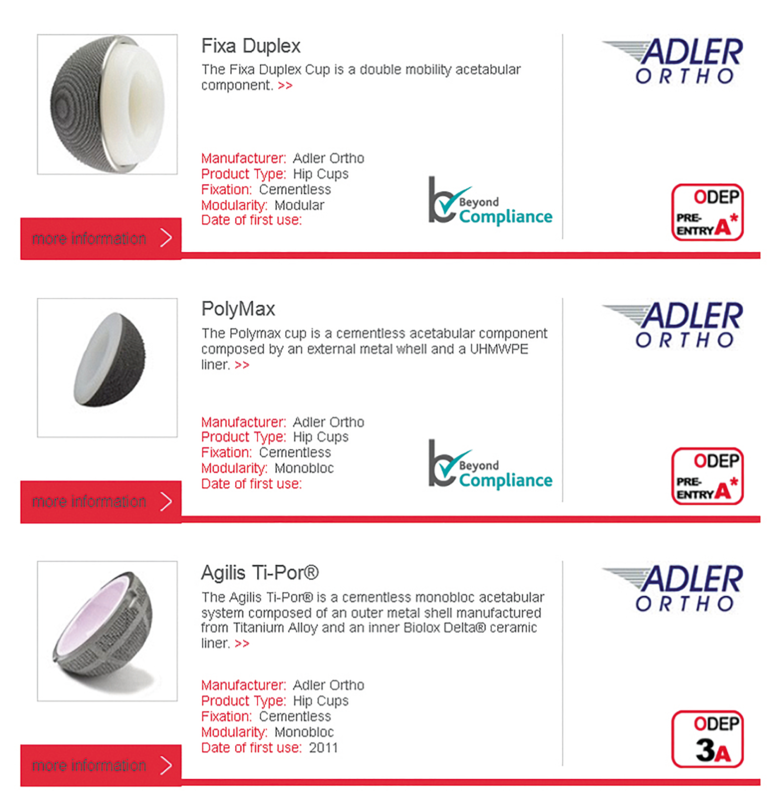 In 2015 Adler Ortho launched the first powder manufactured dual mobility implant using Co-Por; the cobalt chrome alloy Fixa Duplex cup. Q: With regards to the Fixa Duplex cup, I would like to add that this is an implant that has been monitored through the Beyond Compliance initiative since around 2015. Beyond Compliance Advisory Group work with manufacturers to assess the relative risk of any new product, and the rate at which it should be introduced to the market. A: As Adler Ortho innovation continues to bring new products to market, validation of implant performance is monitored via entry of new devices into the Beyond Compliance programme, utilising National Joint Registry data to ensure patient safety during the first three years of clinical usage. Adler Ortho innovation and leadership in powder manufacturing technology is further strengthened with the recent announcement of the opening of a new manufacturing facility located in the South-East of Italy, fully devoted to additive manufacturing. Continued research into surface modifications, anti-microbial solutions for the prevention of peri-prosthetic infection and enhanced additive manufacturing technology techniques are all integral to the focus of Adler Ortho strategy for the future. Adler Ortho® is a privately owned Italian Company specialising in the design, manufacture and marketing of hip, knee and custom prostheses.